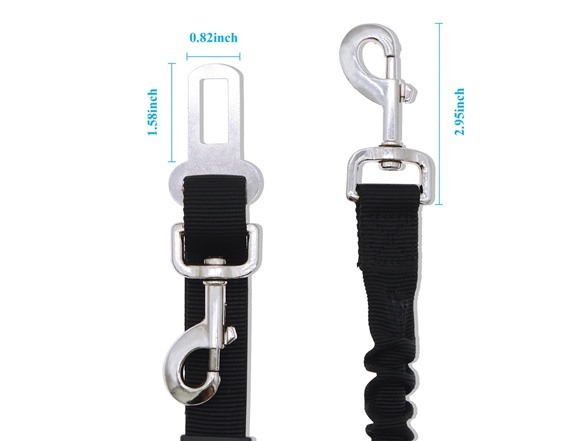 Características: New Arrival Version: Our Winsee dog seat belt add one extra premuum swivel snap at one side of the seat belts,so ou can also use it as a dog leash when you walking your pets. 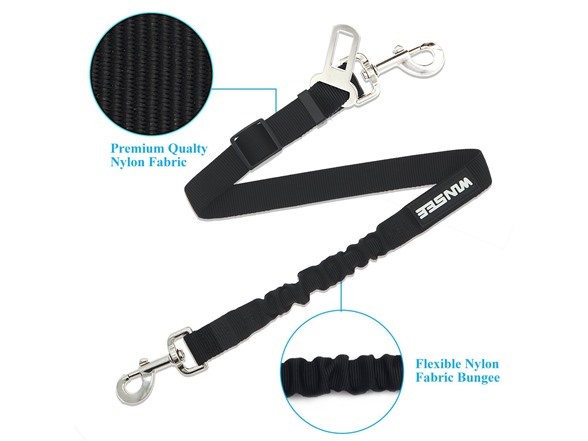 High Quality: Our pet seat belt are made up of sturdy nylon fabric, premium zinc alloy swivel snap, anti-rust hook and stainless clip to latch your pets into your car with ease. 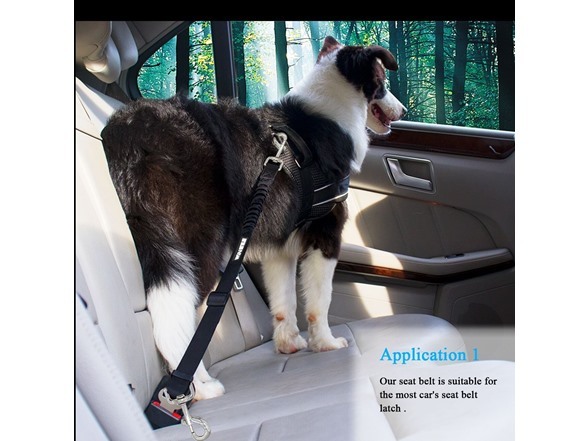 Elastic Buttfer Design: With elastic buffer design, Winsee nylon dog seatbelt can protect pets from sudden brake or sharp turn, preventing driver from distracted driving. 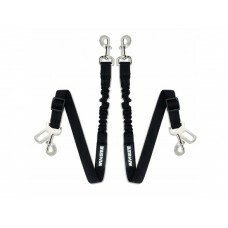 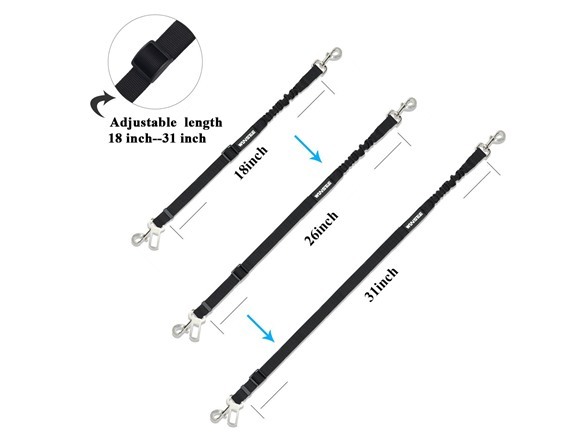 Adjustable Length: The length of the belt with simple pull can be adjusted within a range from 21 to 31 inch ,allows pets active freely in certain space without the feeling of rigid control. 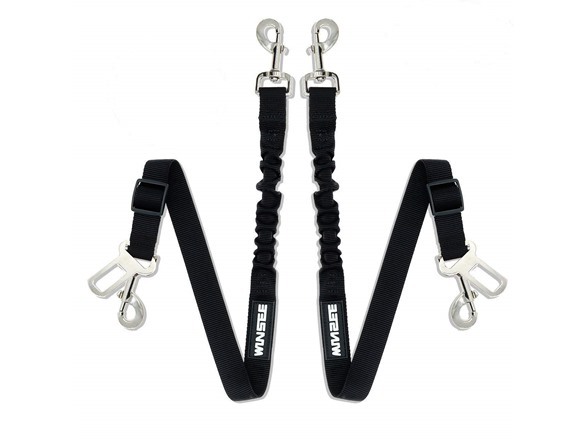 Perfect for small pets to large breed. 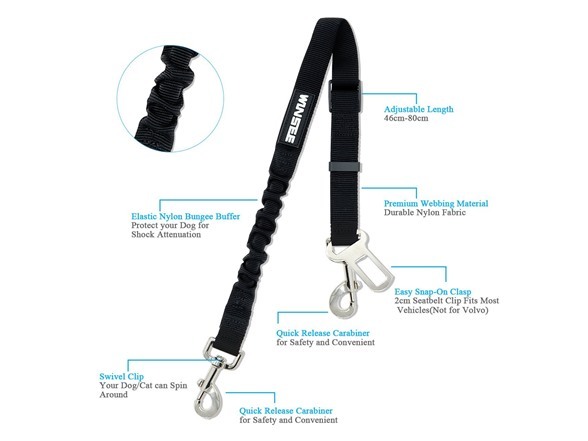 Warming Tips: For your pet's safety, please do not attach the seat belt to your pet's collar directly. 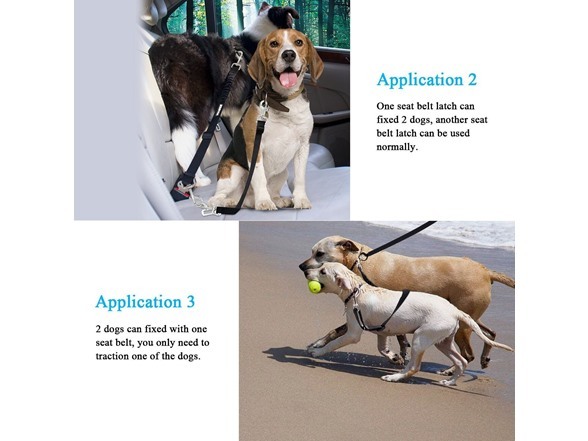 It is recommended to use the seat belt leash with pet harness than pet collar, to provide your pets a comfortable and secure wearing.